In this part of the WFA website you will be able to access the front covers, full list of contents (and eventually authors) for each edition of Stand To! and The Bulletin. Stand To! is the journal of the Western Front Association, and is published three times per year in December/January, April/May, and August/September. 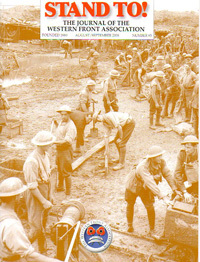 It is distributed free to subscribed members of the WFA. 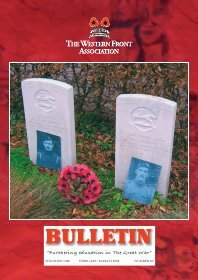 The Bulletin is the in-house magazine of the WFA. It is published three times a year in February/March, June/July and October/November and distributed free to subscribed members of the WFA.